Are you afraid of blood? Well, you should not, cause here you will feel it a lot! Just choose the correct answer and kill the opponent in correct way. If your answer is wrong, then just choose another one and become the winner of the game! 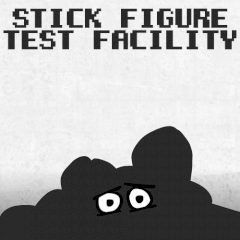 This is a bloody try-and-die game, where your main goal is to help a scientist to choose the correct test for his stickman. Choosing a Wrong Test? No problem, choose another one! Just pick the correct test for his test subjects. Will you be able to choose the correct test? The test subject have their own plan in mind… To get the full affect of this game, make sure your speaker is on. There are a lot of blood. Really!use the mouse to play and do not be scared, it is not so dangerous... Or it is! Have fun here!